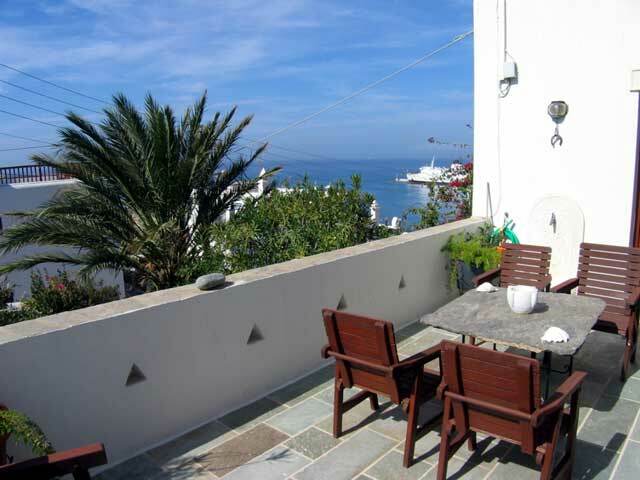 RANIA APARTMENTS is a stone-built complex a few meters from the famous Mykonos Town. If you want to experience wild nights and meet with the celebrities that flood in the island every year, it is the ideal place for you. 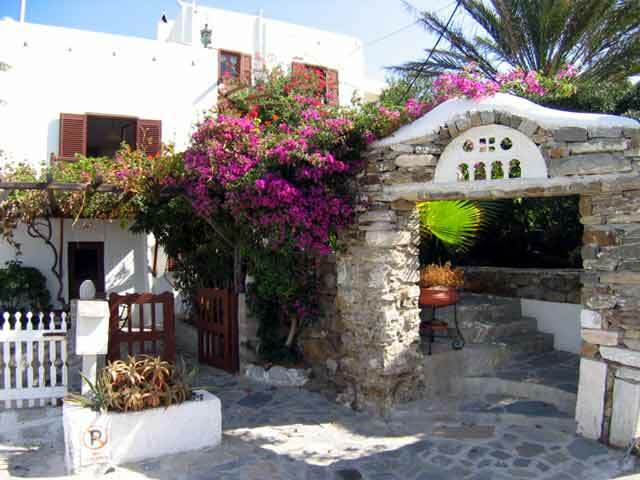 Situated in the quiet district of Petassos, it offers breathtaking view of the whole Town and Mykonos port. 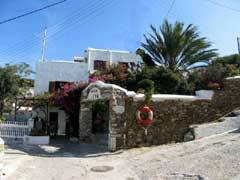 Architecturally, it follows the authentic cycladic style with white-washed walls and stone fences all around it. Verdurous gardens with tall palm trees and flowers adorn the exterior spaces and create a serene surrounding for our guests. 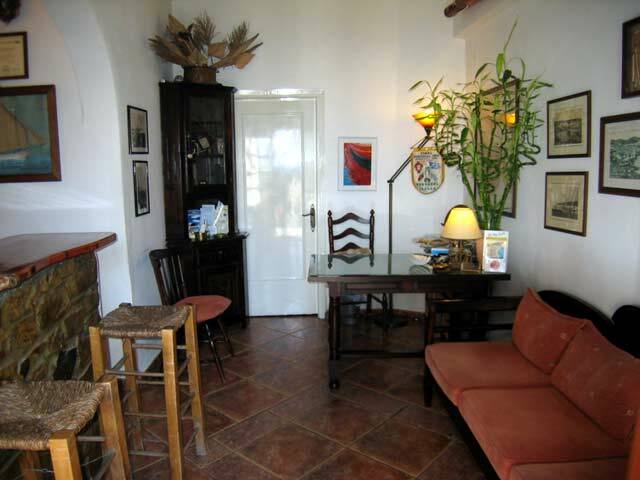 The complex is consisted of tastefully decorated studios and apartments that can accommodate up to 6 persons. Most of them are on the ground floor, while there are some on the first floor. 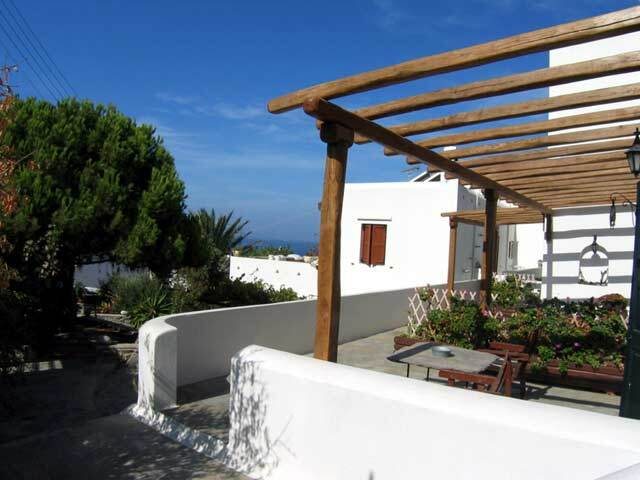 There are one and two-space apartments and studios ideal for couple or families. 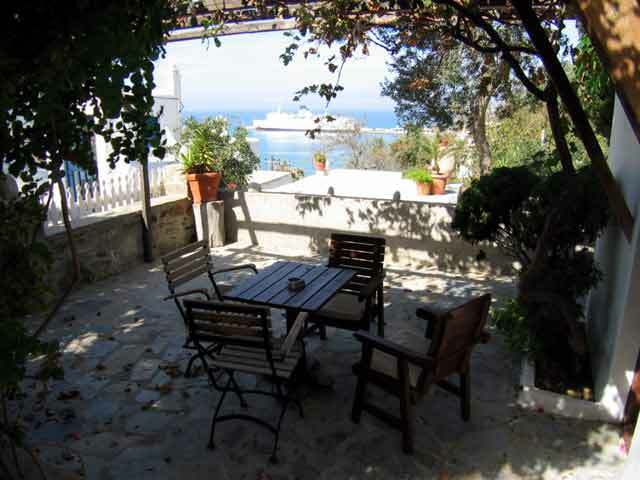 You can choose amongst garden or sea view according to your preferences. 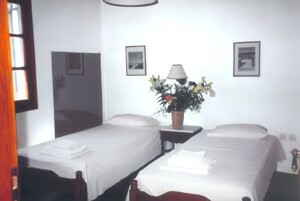 All rooms have nice traditional furniture and are sunny creating the ideal setting for a comfortable stay. 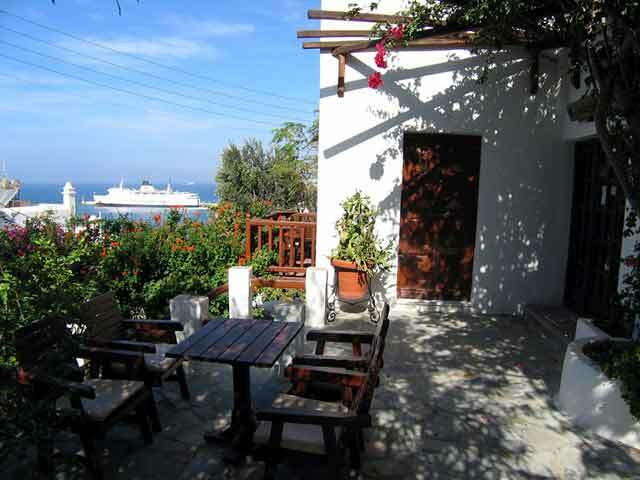 Additionally, several apartments have living room, sitting area, kitchen with the proper utensils, baby cot and balcony with spectacular sea view. 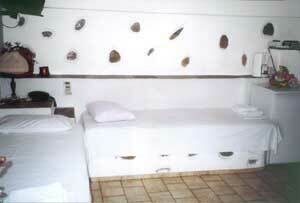 The apartments are very close to the most famous beaches with easy access to them through frequent bus services. 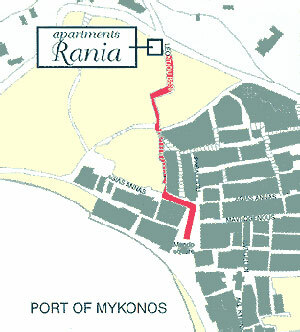 If you are familiar with APARTMENTS RANIA, please share your opinion of it with other travelers. Write a review!